Performing for an audience is an integral part of every child’s education at Ranney. 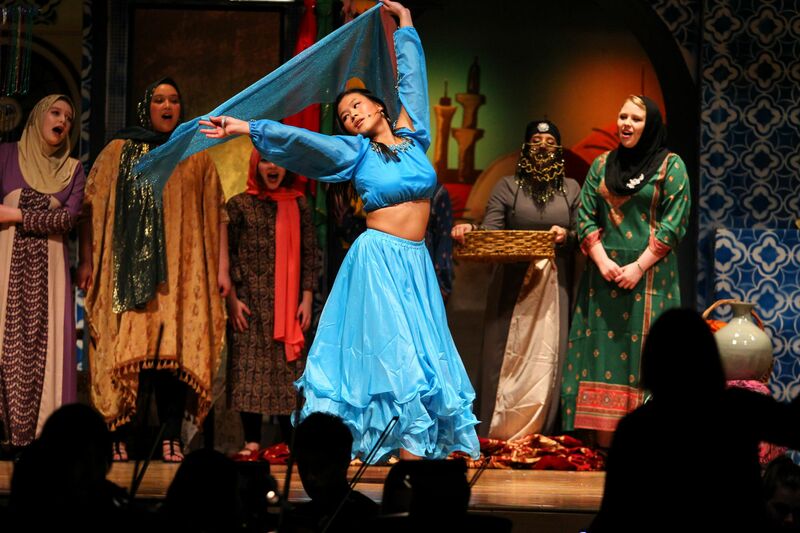 All students have the opportunity to sing, to play a musical instrument, to perform in musical ensembles, and to produce theater both on and off-stage. 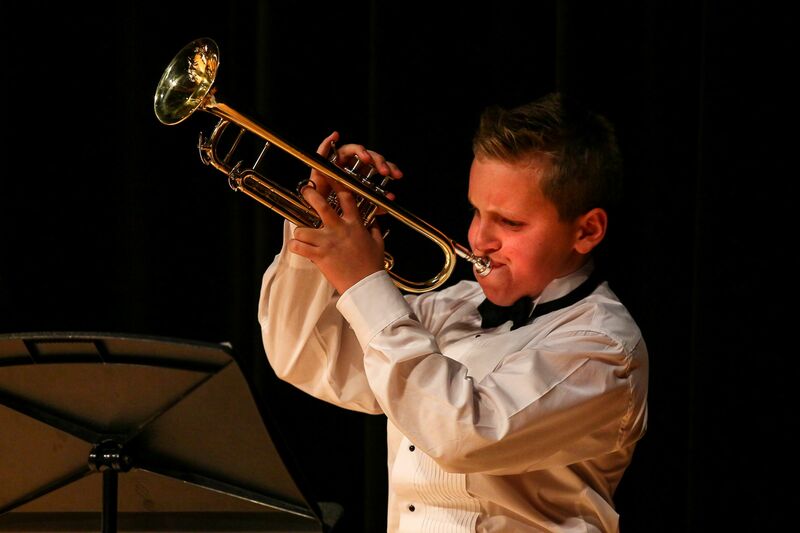 Our award-winning Jazz Band, Orchestra, Chorus, and Theater programs are open to students in all three divisions. Beginning in 3rd grade, students can take part in Orchestra as an elective course. Students are exposed to music theory and encouraged to practice sight reading regularly. Orchestra performs every year in a winter and spring concert series as well as other performance venues. 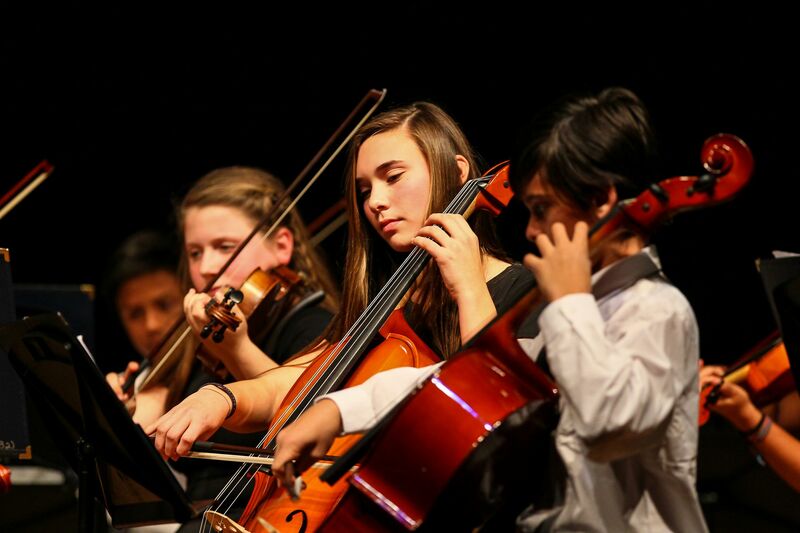 Qualified orchestra, band, and chorus students may participate in the Central Jersey Music Educators’ Association honors festivals and All Shore Band. Our Tri-M® Music Honor Society recognizes passionate arts students who take an active role in the community. Beginning in 3rd grade, students can take part in Band as an elective course. Students are exposed to music theory and encouraged to practice sight reading regularly. Jazz Band performs every year in a winter and spring concert series as well as other performance venues. Beginning in 3rd grade, students can take part in Chorus as an elective course. Students are exposed to music theory and encouraged to practice sight reading regularly. 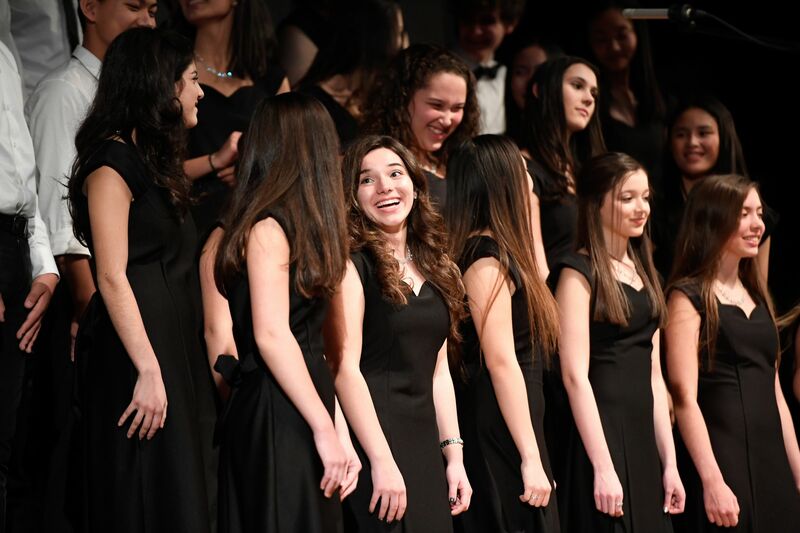 Chorus performs every year in a winter and spring concert series as well as other performance venues. Middle and Upper School students serve as volunteers for the Lower and Middle School productions, providing technical support and choreography assistance, while also gaining hands-on stage experience. Serious Upper School theater performers are offered the opportunity to join the International Thespian Society. Our theater program also participates in the Basie Theater’s annual Basie Awards, which honor theater excellence in Monmouth County high schools. Students that enjoy performing Shakespeare can compete in the English Speaking Union’s Shakespeare competition as well. Forensics, public speaking and debate encourage students to use their performing skills through drama and public speaking. Forensics at Ranney begins in 4th and 5th grade as an after-school activity. By the time students reach Middle School, they have already been primed for the additional vocal training and instruction in public speaking skills they will receive from our Middle School forensics coaches. The poise and presentation skills students learn through Middle School competition become invaluable as they take on more challenging meets in the Upper School, when they can join the New Jersey Drama and Forensics League, a state-wide competitive association sponsored by high school theater directors. They may also aspire to the debate team and attend meets against other public and private high schools. Students in all three divisions have the opportunity to perform on stage in our intimate, black-box-style Commons Theater as part of division-level Coffee Houses. These informal evening venues encourage students to perform original music, poetry, dance and comedy as well as musical covers and forensic pieces.